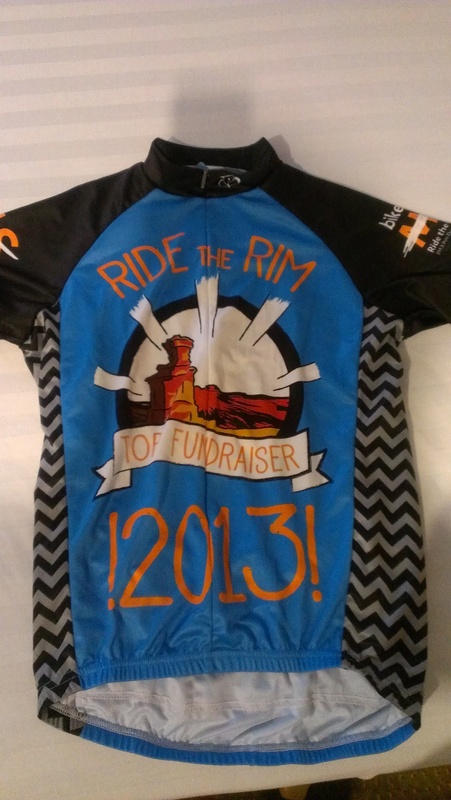 This past weekend, on June 22nd, it was finally time for Bike MS Ride the Rim. 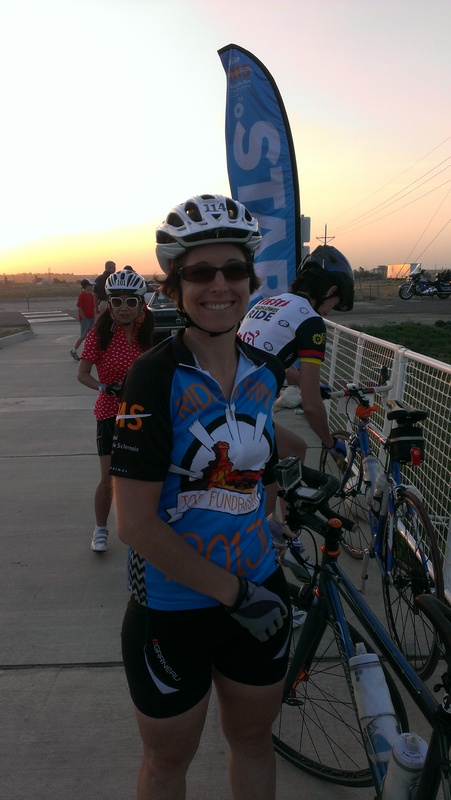 My deepest thanks to all of my supporters who helped me raise a whopping $1,800 for the MS Society! If you are still interested in making a donation in support of my participation, you have until the end of July to head over to my fundraising page and do so. Together we’re making a difference for people living with Multiple Sclerosis. 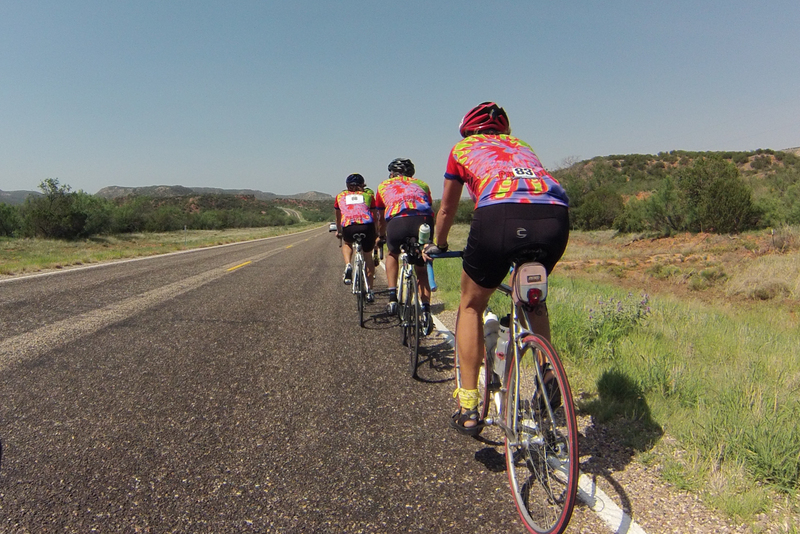 The ride was out in Canyon, TX which is about an 8 hour drive from Austin. On Thursday, I gathered up all of our camping gear and my biking supplies and packed the car. My husband managed to come down with food poisoning the night before so I was basically on my own for all of the preparation. Don’t worry, he’s better now. At 6 am Friday I loaded the remaining items into the car, pushed my husband and dog into the car and hit the road. We had a thankfully uneventful drive and made a stop in Lubbock on our way to grab some beer from Wicked Beaver Brewing since we can’t get their beer in Austin. 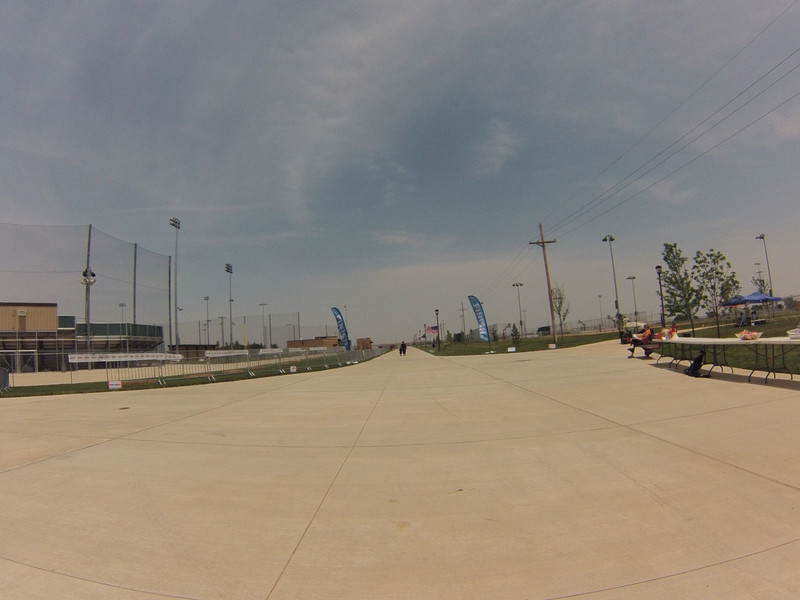 Once we made it to Canyon I stopped at the Buffalo Sports Park on the campus of West Texas A&M University to pick up my packet. I was pleasantly surprised to be given a top fundraiser jersey! 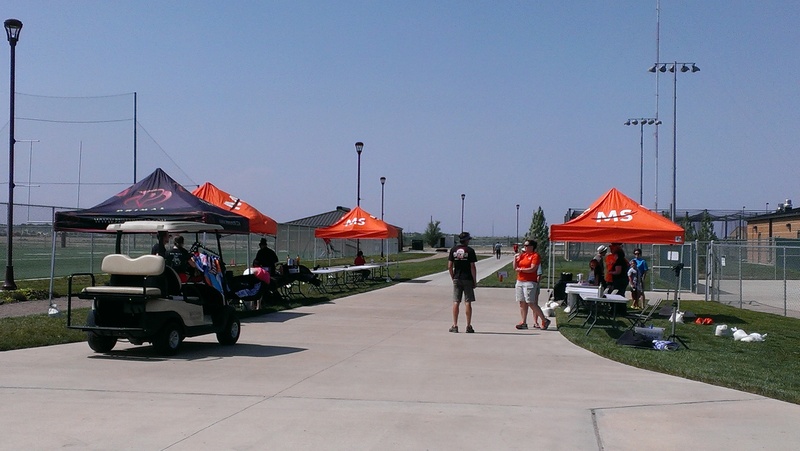 When we first showed up at packet pickup, everything was still being setup. After wandering around a bit, we came back to the packet pickup tent and there was a line and some friendly volunteers. 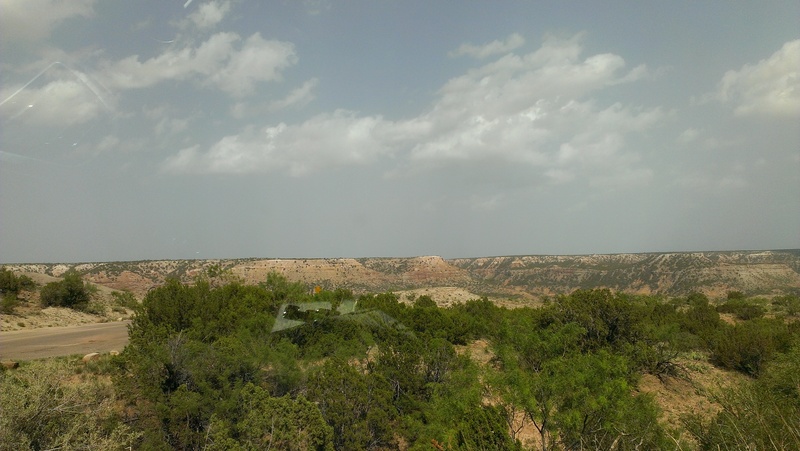 After packet pickup, we headed over to the Palo Duro Canyon State Park to setup our campsite. 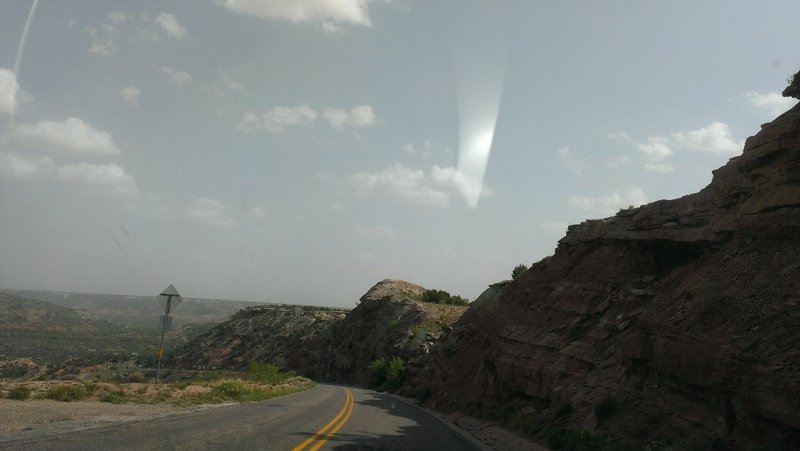 I’ll have more pictures to share from our camping trip once I get them off my other camera, but for now here are a few from my phone on our drive down into the canyon. At the top of the canyon, inside the state park. The state park road down into the canyon. After setting up our tent and grilling our dinner, we headed back into Canyon to stay at a hotel so that I could hopefully get a good night’s rest. I’m always a bit anxious before big rides, especially those that I’m somewhat uneasy about, so I had some trouble getting to sleep. 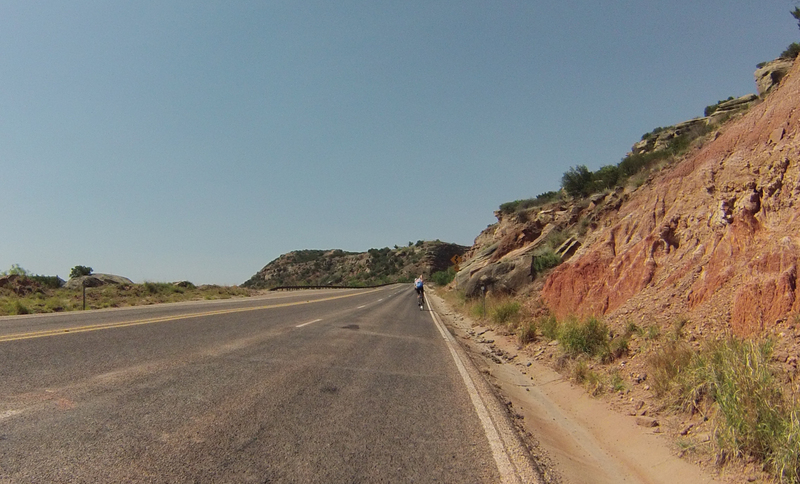 My uneasiness had to do both with the ride in and out of the Palo Duro but also with the strong 22 mph winds that were forecasted. The winds were predicted to be out of the south and the route (official Bike MS map) was basically a large square. Next thing I knew it was 6 am and time to get up to head to the start line which was a very short ride from the hotel. Others waiting for the start behind me. The ride kicked off a few minutes late with a woman who has MS doing a great job singing the national anthem and then a classic Mustang driven by a man recently diagnosed with MS led us out for the first mile or so of the route. 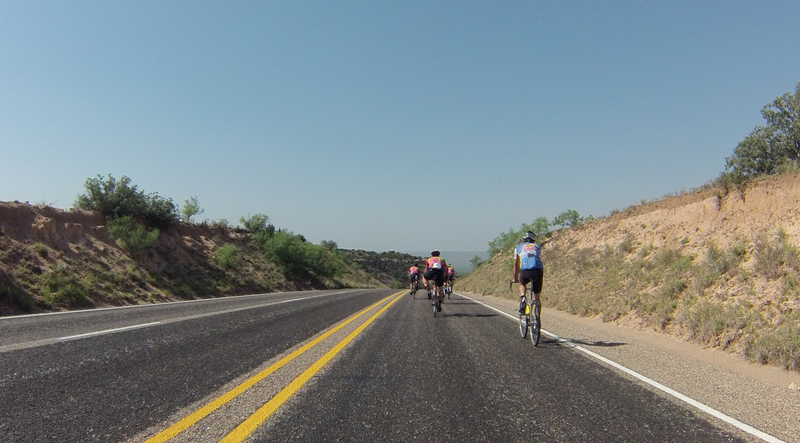 I knew I wanted to try to jump in with some fast riders so I watched for them at the start and quickly caught up with them after passing the Valero team. The wind was present but fairly light to start. From the start line to the turn headed west (about 10 miles) I was just flying. 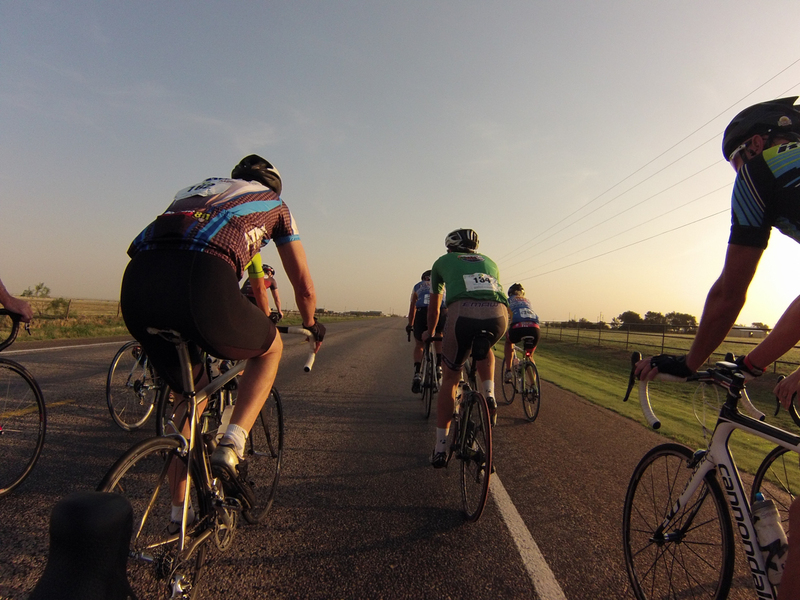 Of course, right after making that turn I was immediately dropped by the fast group. I rode along for a number of miles by myself, still making decent time since the wind was perpendicular to the direction I was traveling and not all that hard yet. 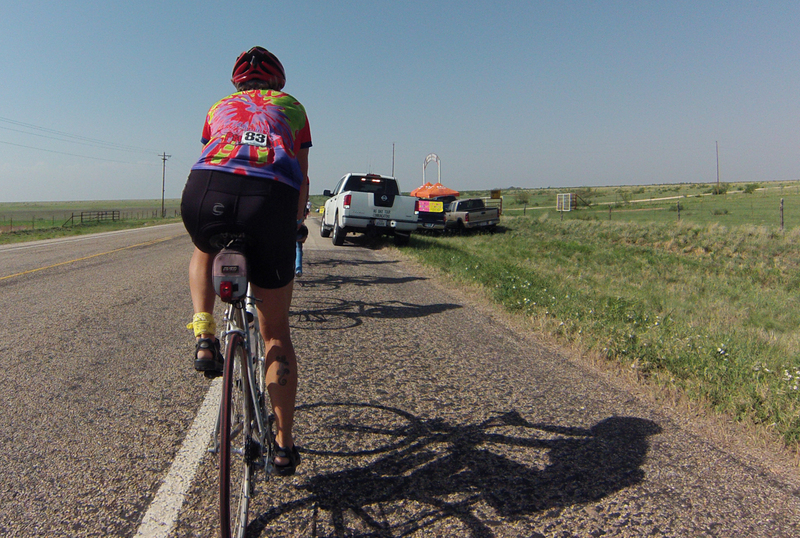 Somewhere around mile 20 another group of riders came by me with tie-dyed jerseys on. They were much closer to my speed and invited me in to ride with them. For the next 20 miles we hummed right along into Claude where the turn south was. At that point we’d been averaging about 19 mph. It was fun. In Claude we stopped at a rest stop. Second group of riders, team Pro Chem Sales. The rest stop in Claude. The rest stops had nice wooden bike stands to park our bikes in. 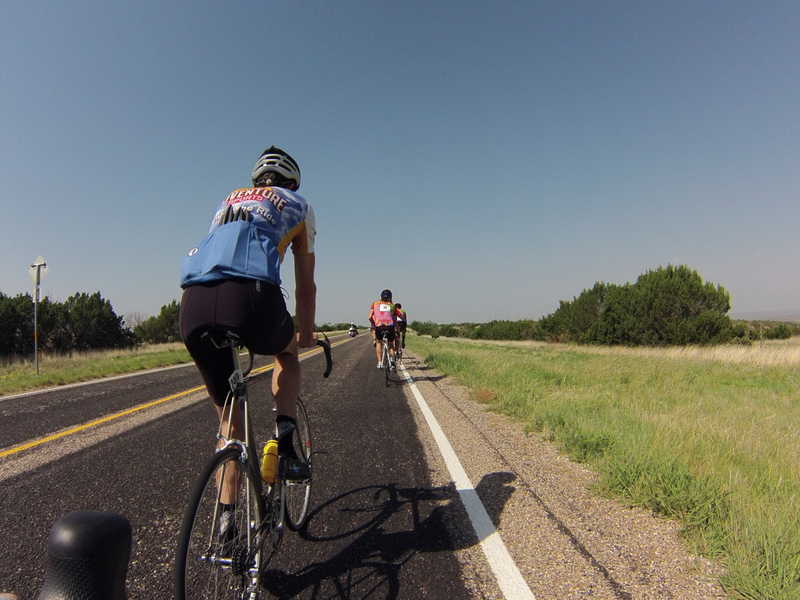 The turn to the south was met with a very stiff headwind. The Pro Chem Sales group I was with formed a single file line and drafted off of the lead rider, a gentleman training for an Ironman. He pulled us the whole way to the canyon. Talk about nice! Riding single file into the wind. Rest stop, about 10 miles after making the turn south. My average speed at this point was 18 mph. At every rest stop the volunteers were amazing. There were a ton of them and they would park your bike, get you water, ice, snacks, you name it! 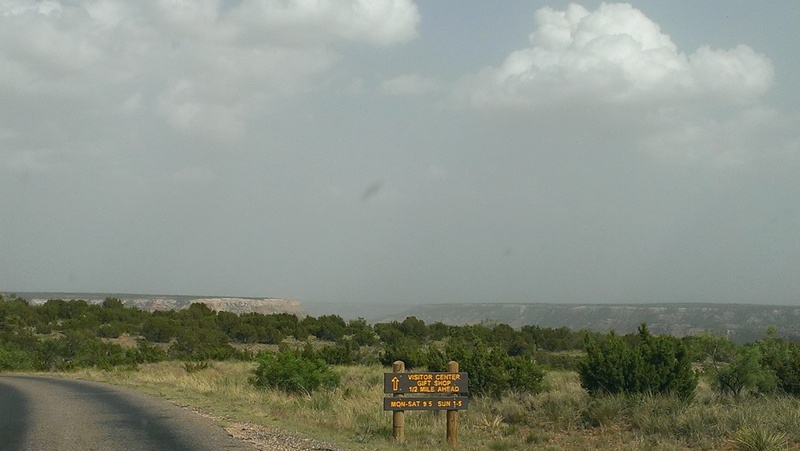 As we got closer to the rim of the canyon the vegetation changed. Instead of being completely flat with no trees, it started to have short little mesquite trees everywhere. 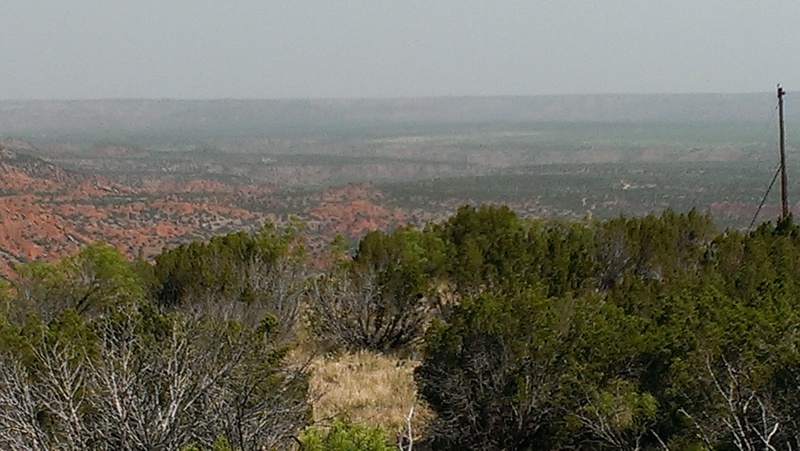 You can see the edge of the canyon along the horizon. Dropping down into the canyon was amazing. At one point, I hit a speed of 49 mph, the fastest I’ve ever gone on a bike! I probably could have gone faster but I would occasionally tap my brakes because that was fast enough! 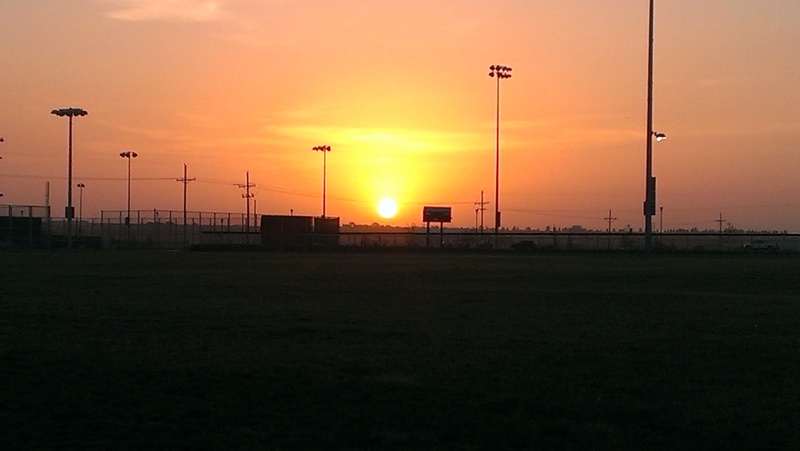 When I was certain that I was steady, I grabbed some pictures. They definitely don’t do justice to the scenery or the steepness of the descent and ascent. The route flattened for a bit before descending even further. About to go down again. At the bottom of the canyon was a bridge that went over a creek bed and flood plain. Another rest stop was located at the bottom of the canyon staffed with cheering volunteers. At the bottom, some of the riders I was with regrouped. Starting the climb. We went up a bit then down again and then all the way up. A short flat before the climb. We went up next to some pretty cliffs. It looks way easier than it was. During the climb there were people at a picnic overlook peering down at us. You can just make them out on the cliff on the left. Through the rock cliffs. SAG vehicles were quite heavy through this part, bussing people who didn’t / couldn’t make the climb. 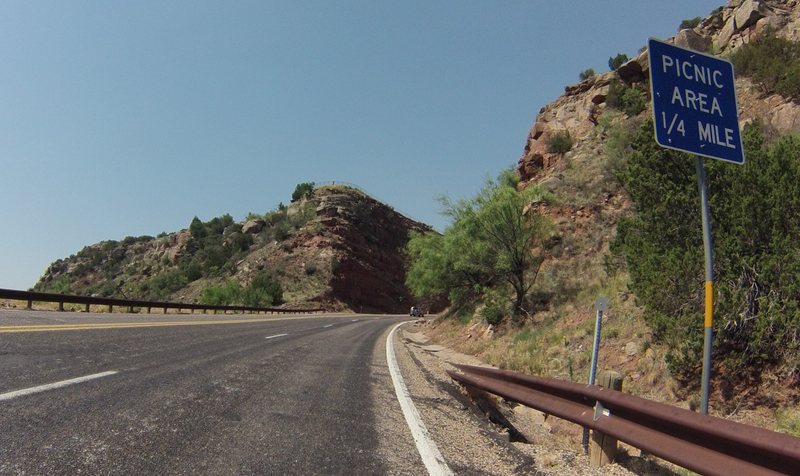 Somewhere around 2/3 of the way up the climb I paused to rest and took a picture of the canyon. Two different SAG vehicles came by to see if I wanted a ride. Of course not! I was going to finish what I started. There was another rest stop at the top of the canyon. 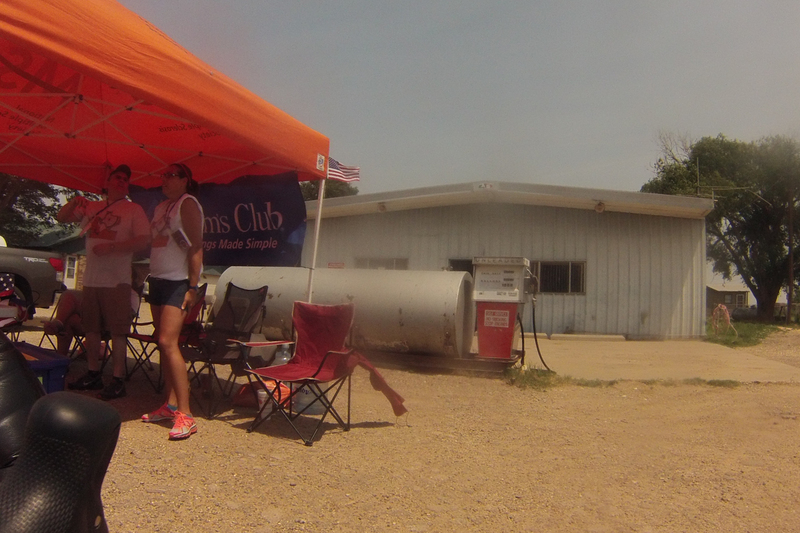 If you were only riding 60 miles, you were done at this stop and rode a SAG vehicle back to the finish line. This stop had many awesome volunteers. 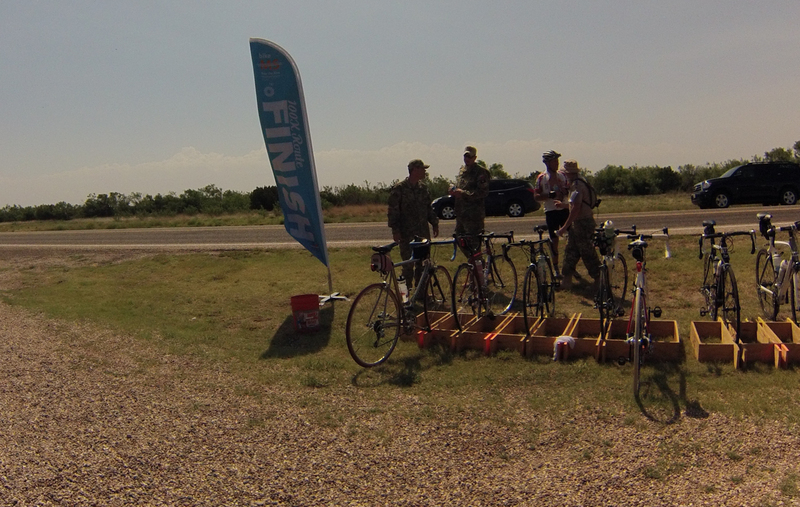 Some people from the National Guard were decked out in camo and took our bikes and parked them. They got us drinks and chatted with all the cyclists. 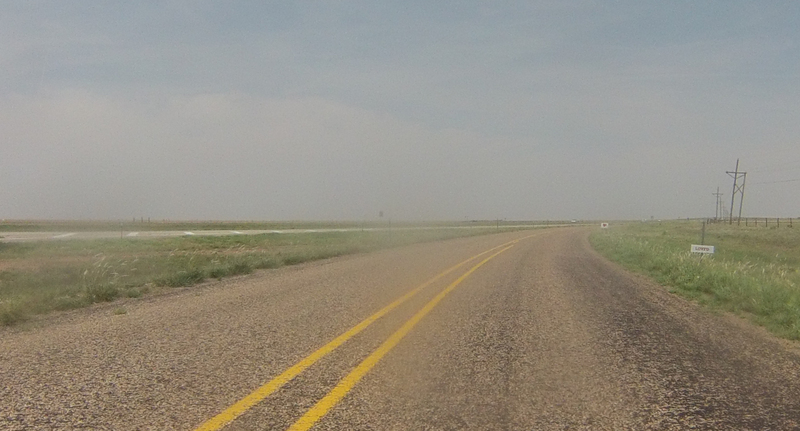 Once we made the turn west, the wind was mostly perpendicular but was much stronger than in the morning. At some points it seemed to swing into a headwind. The road was bumpy. Apparently my GoPro lens started to fog up. While I had started with a large group, at this point I was just with one woman named Shirley. I stopped at the rest stop in the tiny town of Wayside to mail some post cards the MS Society had ready for us. So bumpy. So flat. So windy. And a little two room school house. Sing it with me now: I can see for miles and miles… I can see for miles and miles… I can see for miles and miles and miles and miles and miles! 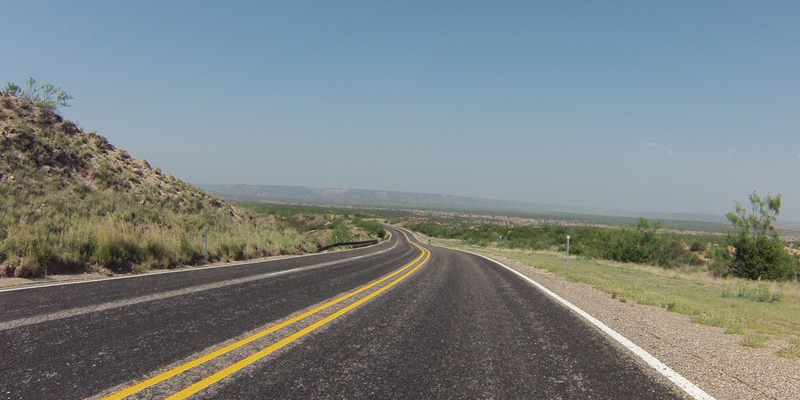 After a long ways with the side wind becoming more of a head wind, the road finally became smoother. After what felt like forever, we finally saw our turn to the north in the distance. I was really worn out at this point. 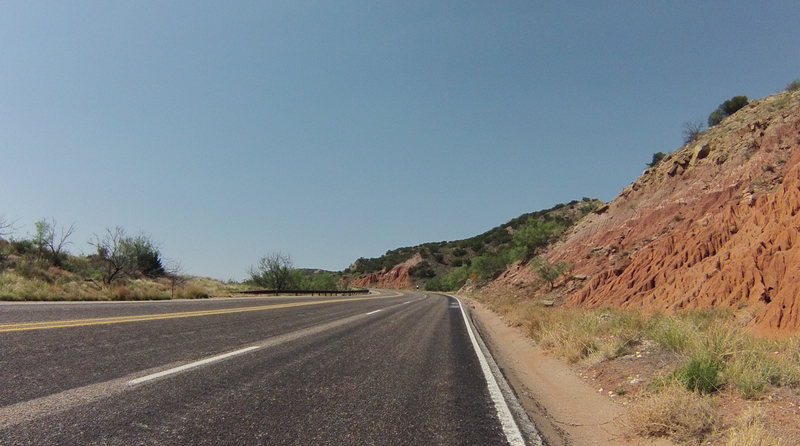 The next part of the route was on the I-27 frontage road. 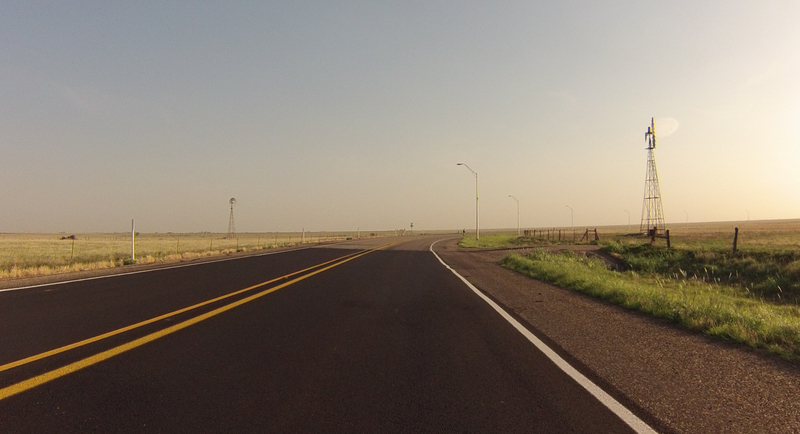 Not a car to be seen on the entire 10 ish miles on the frontage road. We were flying with a strong wind at our backs. You can see some small signs on the side of the road that volunteers had set up. 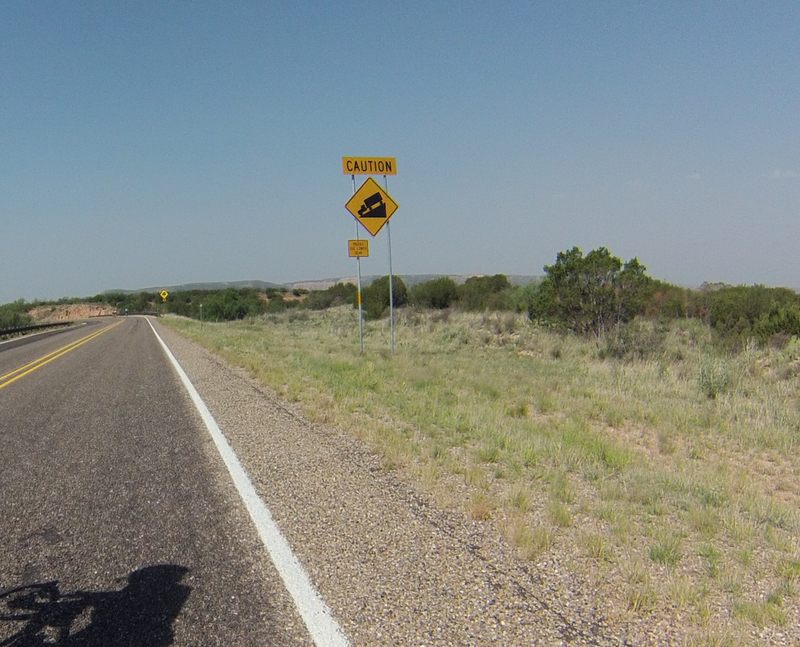 One set of signs was about getting your kicks on route 66. 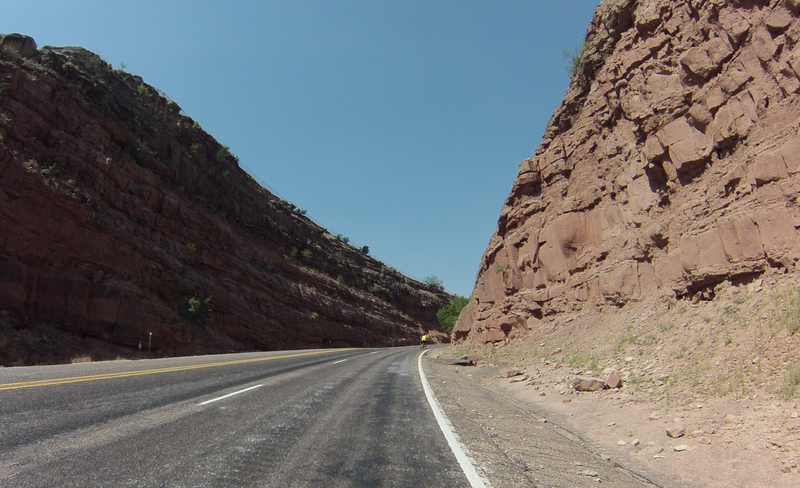 Making the turn towards Canyon! And the turn on to the West Texas A&M campus! Finishing never felt so good! Shirley, the woman that I rode the majority of the ride with. It was nice to have company! 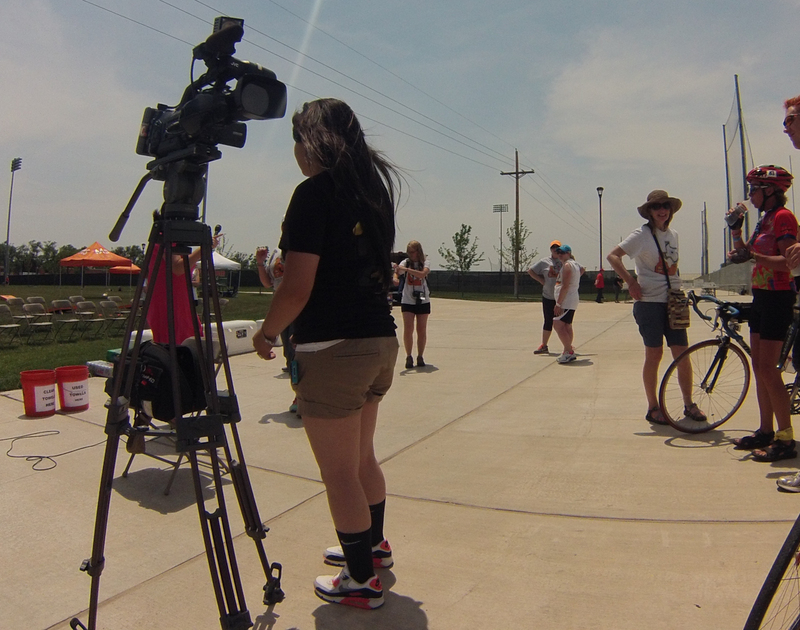 News crew at the finish. 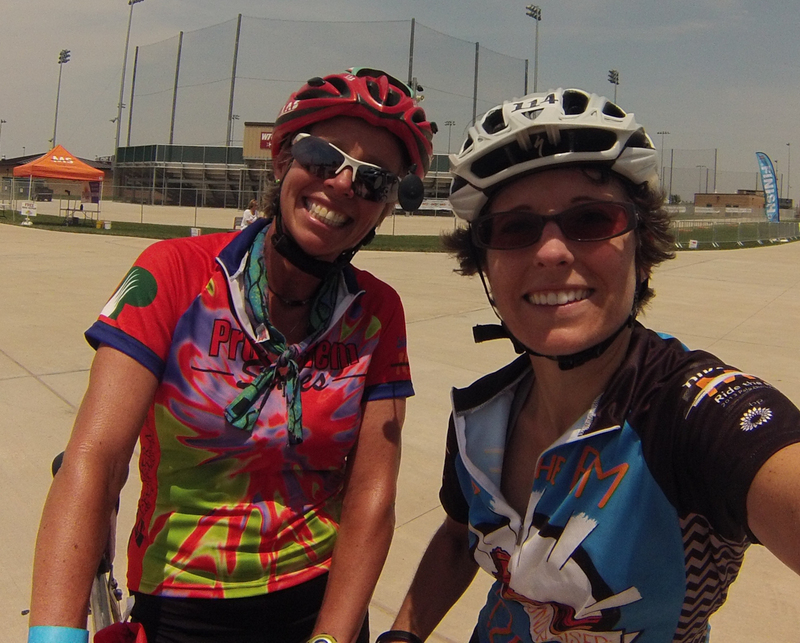 To sum up the ride, it was hard, definitely the hardest Bike MS I’ve done. Not because of the climb but because of the wind. I am so thankful to have had some people to draft off of for part of the ride. 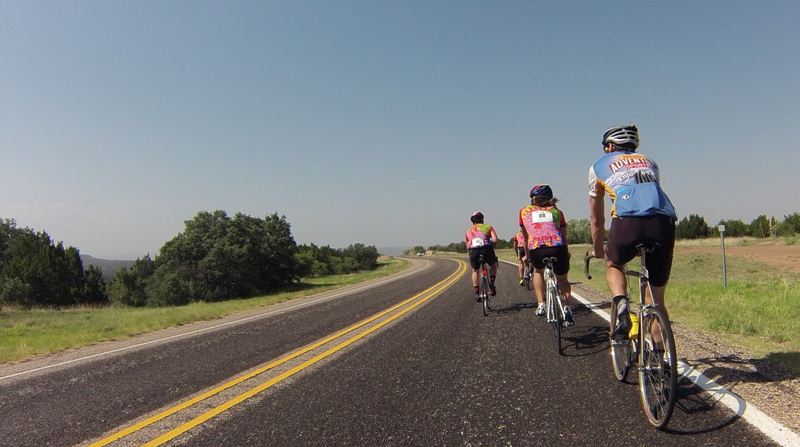 The ride was extremely well organized. 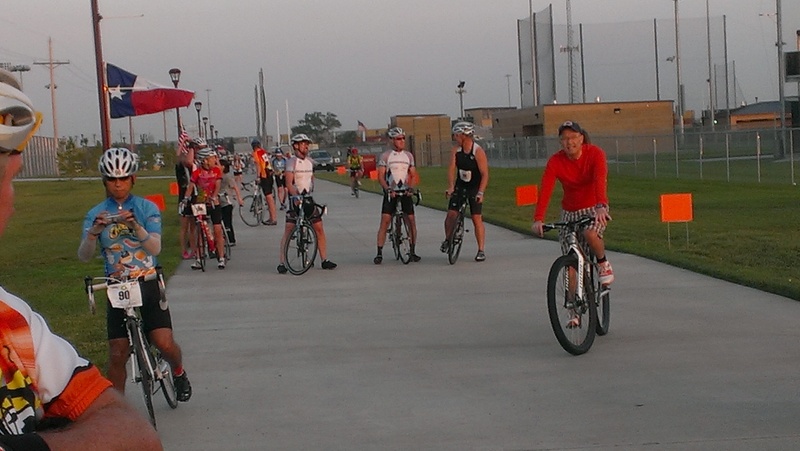 It had 300 volunteers for 200 riders! 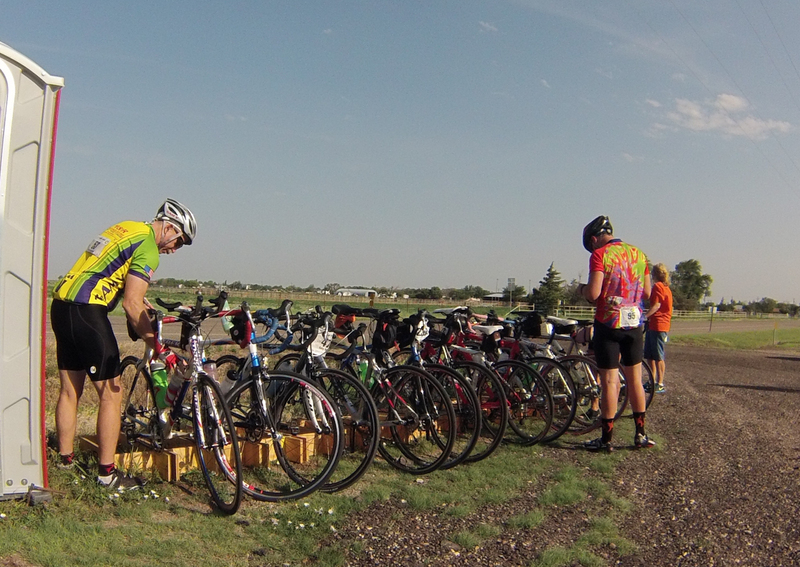 The support was just amazing from the great volunteers at each rest stop to the people along I-27 making sure that all cyclists were traveling the frontage road safely. 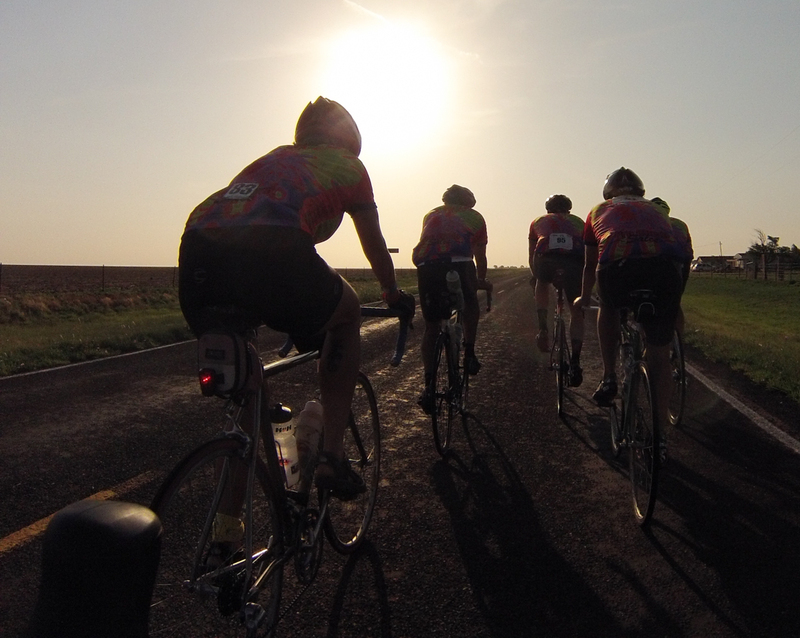 The ride is the smallest charity ride I’ve ever done. 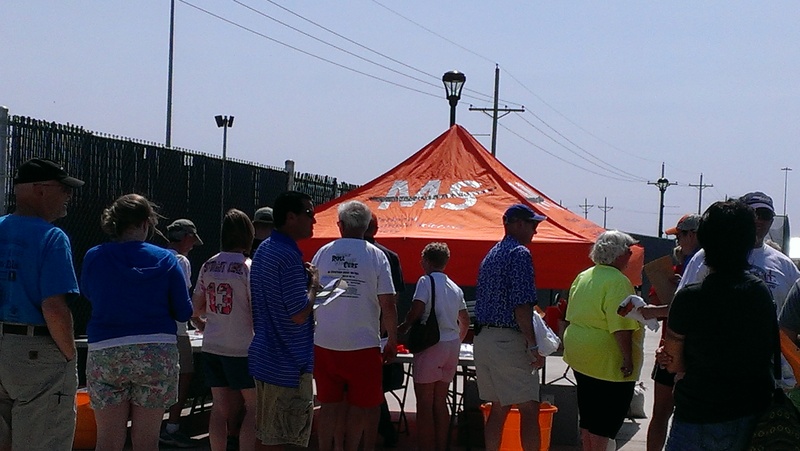 They are still working towards their goal of $135,000 to help people with MS in the panhandle. You can help them meet their goal. While I’ve surpassed my original goal and made it on to the top fundraiser list, I’d still really like to see the organization overall get to their goal. If you’d like to see more photos, or the ones above in more detail, check out my flickr set. You can see my Garmin route here, but I ended up riding for almost 6.5 hours (not including stops), averaging 15.8 mph, climbing 2,8oo ft and burning 4,600 calories. What a ride! 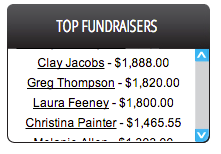 I’m a top fundraiser on the event home page! I even made a local news story! I’m in the photo that goes with the story, coming across the finish line and if you watch the video to the end you’ll see a glimpse of me and Carl! Relaxing in the shade with our dog Molly at the finish. And the finish line photo!